The Olympics have always been about stories and narratives. Athletes in sports, both obscure and relevant, represent their countries and play out the story of their nation, whether it be powerhouse nations raking in the medals or the simple story of the Jamaican bobsled team. The ability to host the event is also a story of the rise of a nation and the ability to show either one’s might or newfound brilliance on the world stage. Back in October 2013, we looked at how the story of the Sochi Olympic games were unfolding at that time. With the Winter Olympics beginning shortly, it was time revisit our intrepid heroes and villains. One view of the Olympics has been as a giant vanity project, allowing Vladimir Putin and the Kremlin to evict Russian citizens from their homes, crack down on NGOs, gay rights activists, and roughly anybody that disagrees with the egregious cost of these games. To this list, it has recently been added that athletes will not be allowed to speak their mind, such as their displeasure at the anti-gay propaganda laws in Russia. OIC chair Thomas Bach has already stated that, though there is freedom of speech, athletes that speak their mind around the Olympic events will face punishment. The head of the Russian Olympics, Dmitry Chernyshenko, even contradicted this, saying that the athletes would only be able to express themselves at a venue far from the Olympic venues. Censorship is not the only issue plaguing the Olympics. Despite seven years to prepare, and the assurances that 97% of the venues and hotels are prepared, there have been a large amount of pictures and tweets from journalists showing half finished rooms. One hotel didn’t have a reception area while another hotel wasn’t even completed. Considering that these games cost $51 billion, $11 billion more than the Beijing Olympics, the amount of corruption and ineptitude is starting to show more and more over the media. One road has cost $8.6 million, more than the whole Winter Olympics in Vancouver in 2010. This raises the question of whether or not these games are worth it. Supposedly, the infrastructure will stay and benefit the residents of Sochi, along with increased tourism. However, Allen Sanderson and Samantha Edds explored the question of whether Olympics have an economic impact, which they found that there is no evidence to support that. A last branch in this narrative is a concern for the security of the event. IOC chair Thomas Bach has emphasized that these games will be safe. This mostly has to do with the massive amount of security surrounding Sochi. 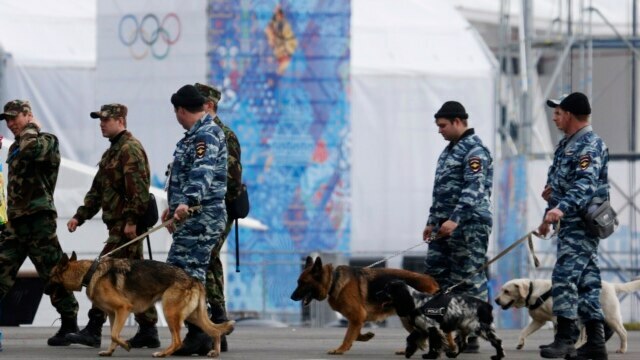 Roughly 40,000 security forces have been sent to the region around Sochi to prevent atrocities from happening. They have also erected a “Ring of Steel” around Sochi, with checkpoints and anti-aircraft batteries, to aid in this security. Part of the paranoia surrounding the events is that terrorist leaders in Dagestan and Chechnya located only 400 miles away, such as Doku Umarov, have already stated that they are going to target the Olympic games. The other cause for concern is the bombing in December 2013 in Volgograd, something that is considered to be a decoy to drag resources away from Sochi and make it more vulnerable. The Russians have gone so far as to contract out 400 unarmed Cossacks for the duration of the Olympics. Despite the lack of attendance by some world leaders, the world’s games at the Olympics will continue. One of the questions that will be asked is how much all this negative press hangs over the Olympics. What will be the effects of this event after the torch has been extinguished? This is a tale with many twists and turns, with more anti-heroes than heroes. At the least, everybody will be watching Sochi to see how the story unfolds. A Russian coastguard official points a knife at a Greenpeace International activist who tried to scale an oil platform owned by state-owned energy giant Gazprom (Source: Denis Sinyakov/Greenpeace). 30 people from 18 countries detained on the Greenpeace International ship “Arctic Sunrise” are awaiting trial on piracy charges and face up to 15 years in prison if convicted related to a September 18th incident in which some of the activists tried to scale an oil rig in the Pechora Sea owned by the national oil-giant Gazprom. The activists may spend up to two months in pre-trial detention in a Murmansk jail awaiting the decision of Russian prosecutors. Greenpeace International director Kumi Naidoo called the seizure of the vessel and the arrest of its crew the worst “assault” on the environmental activist organization since one of its ships was bombed in 1985. The detained activists are reportedly being kept in “solitary confinement for 23 hours a day,” while others are held in “extremely cold cells.” Russian officials have called the protest “pure provocation” and an “encroachment on the sovereignty” of Russia. The Kremlin is doing itself no favors in attracting negative attention and enflaming external critics in its preparations to host the 2014 Olympic and Paralympic Winter Games in Sochi. The appearance of democratic institutions, pseudo-elections, and elements of press freedom have created a democratic façade that has long masked the Putin authoritarian model. But with all eyes now on the host country, a sporting event that was supposed showcase a modern and dynamic Russia has drawn international attention to the injustices of its crony capitalist system and provides an unforeseen opportunity for the International Olympic Committee (IOC) to meaningfully enforce the human rights principles embodied by the Olympic games. 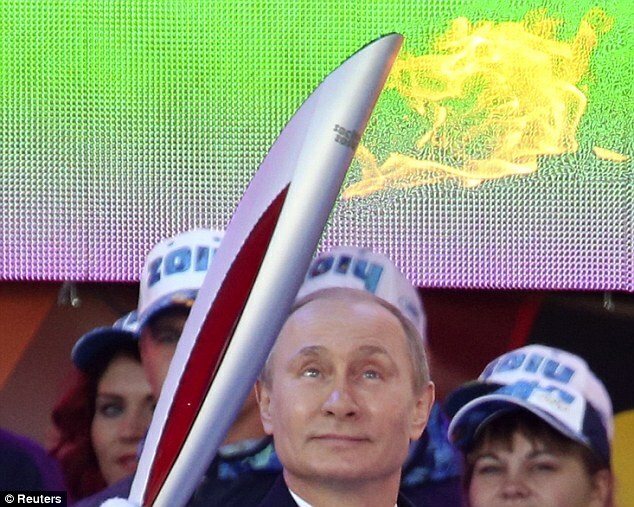 At a price tag of over $50 billion, the Sochi 2014 Games will be the most expensive in history. The transformation of Sochi from a secluded winter resort on the Black Sea to an Olympic host city and premier winter sports destination also comes with dire social costs at the expense of migrant workers, an already tabooed population. Over 16,000 migrant workers from Central Asia, Ukraine, and Turkey are earning between $1.80-$2.60 an hour working on corrupt pet projects. Sochi residents have been forcefully evicted from their homes as Olympic venues are erected in their back yards. 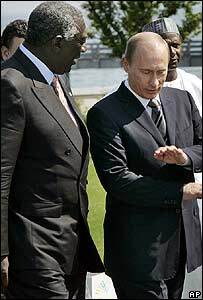 Russia has finally found its stride again in the international donor community. After having been a massive donor as part of the Soviet Union – providing some 26 billion dollars in 1986 alone – Russia actually received more assistance than it donated through the 1990s. It was not until 2010 that Britain stopped its aid program to Russia (and China), and the US is now no longer a donor either. Over the course of the weekend, Russian President Vladimir Putin signed a law that unleashed a new wave of regulations on the nation’s 220,000 non-governmental organizations (NGOs). 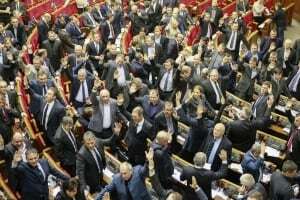 Passed by the upper house of parliament earlier in July, the legislation will force NGOs that engage in “political activity” and receive funding from abroad to register with the government and file detailed reports of the organization’s activities. Failure to comply with the provisions carry fines up to $9,000 or 2 years in prison. The measures have revived the controversy concerning the transparency of the Russian government and its commitment to democratic institutions.